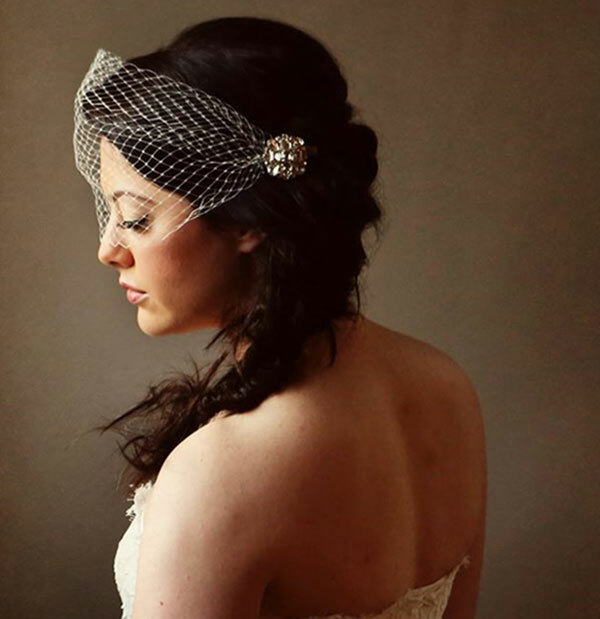 Stockists of veils by Couture veil, Heading up and Elizabeth dickens. 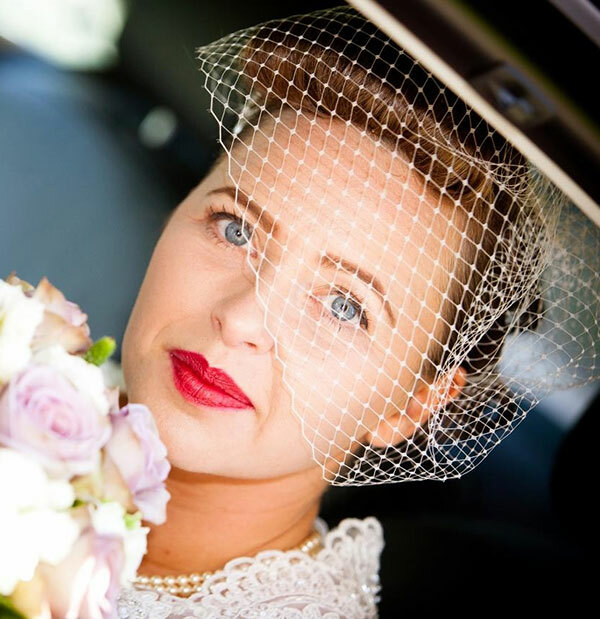 Classic french net veil. Metal comb for simple fixing can be worn on the side, fully covering the eyes or any way you wish. Net is 22cm in drop, we also offer 50cm longer length veil. This veil comes on small kirby grips on either side of the french net, suitable for all hair lengths. Can be worn in many ways and comes in 22cm width or we do a 9cm mini version.